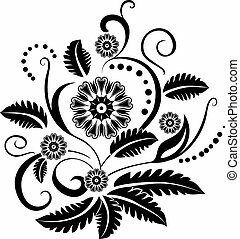 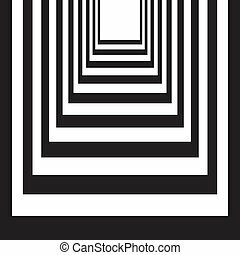 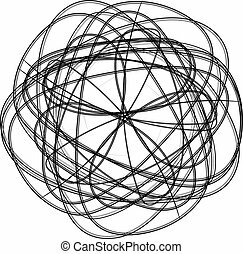 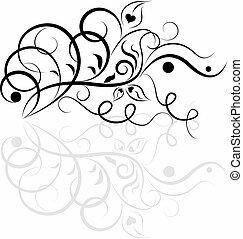 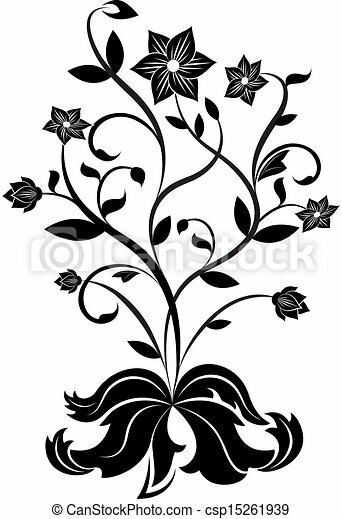 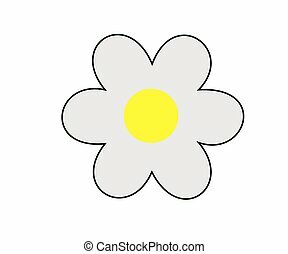 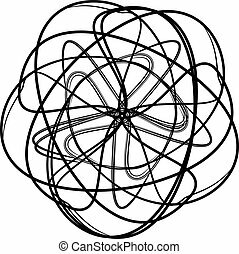 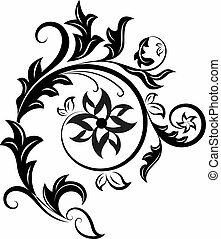 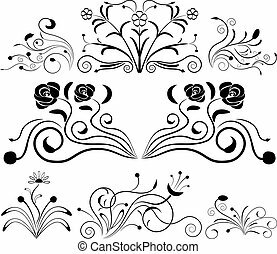 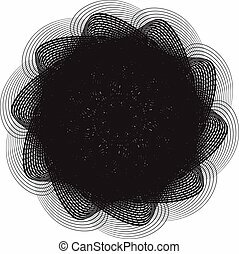 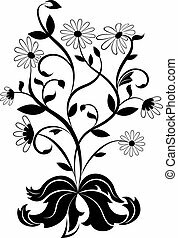 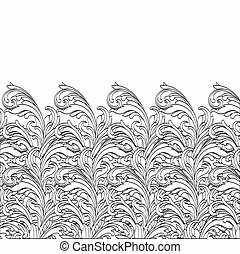 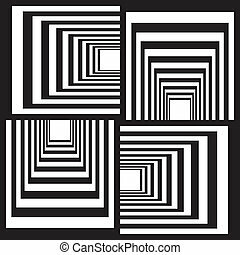 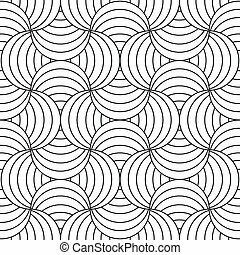 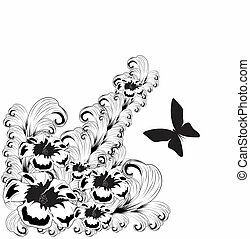 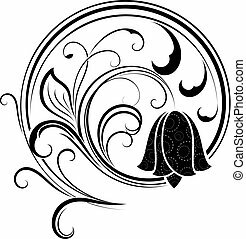 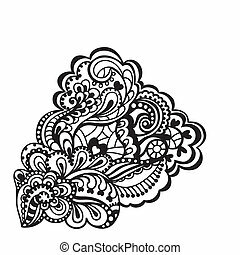 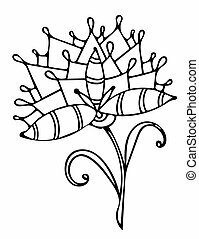 Beautiful black and white flower black line design element. 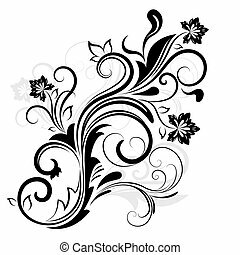 Abstract flower vector. 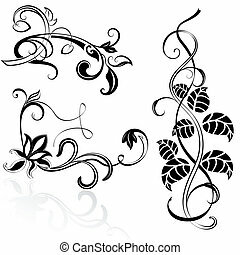 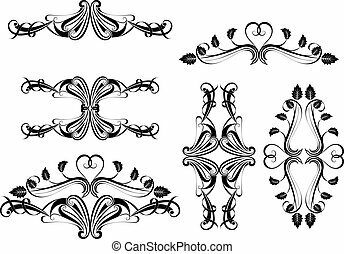 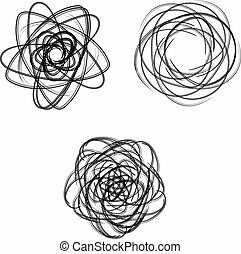 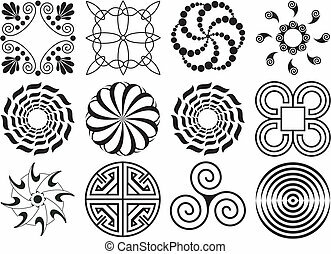 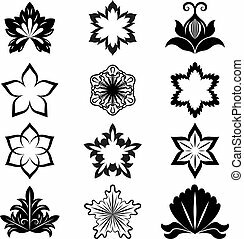 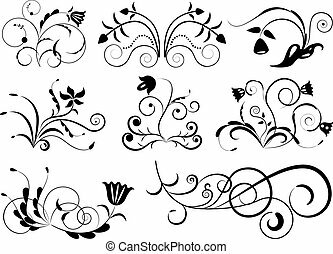 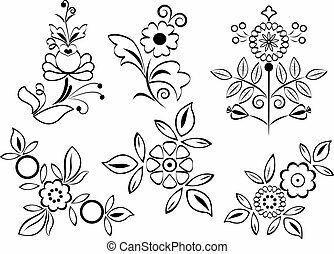 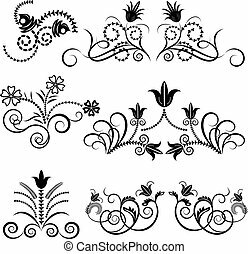 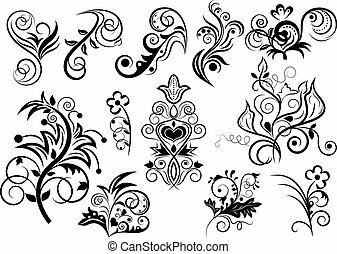 Black and white flower design elements vector set. 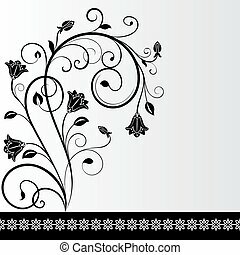 Black and white flower card design with copy space.